Product prices and availability are accurate as of 2019-03-03 09:33:28 UTC and are subject to change. Any price and availability information displayed on http://www.amazon.com/ at the time of purchase will apply to the purchase of this product. 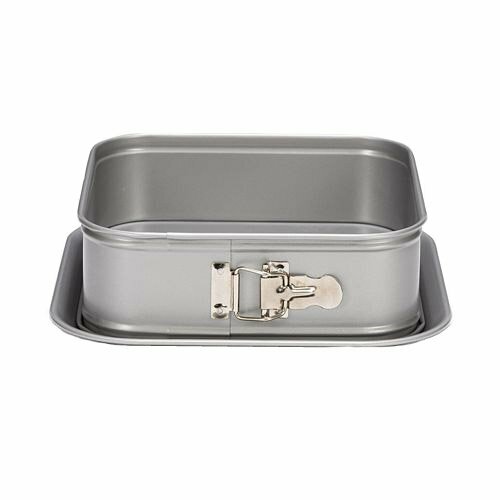 European design bakeware. SILVER TOP Series square baking spring form. Grey metallic color. High quality steel: 0.4-0.6 mm steel gauge. Spring form has a non-stick Whit ford Skandia 8-10 micron coating. Measures 9 1/2 Inch by 9 1/2 Inch. High quality steel square-shaped spring form, measuring 9 1/2" x 9 1/2", with a non-stick interior coating Excellent for baking square cakes, as it comes with a durable, steel quick-release clip Silver Top Series spring form, 0.40-0.60mm steel gauge Gently clean with soft cloth or sponge and soap, do not scrub Measures 9-1/2" x 9-1/2"